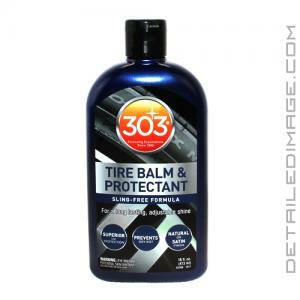 The 303 Tire Balm & Protectant allows you to protect your tires with an easy to apply, wipe on, wipe off formula! 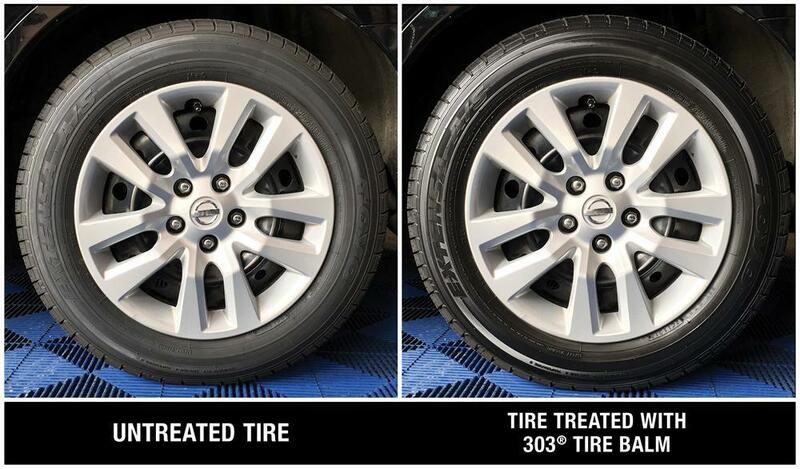 No one likes dull looking tires but often times bringing them back to life can take a lot of time. With the 303 Tire Balm, you can bring back that deep, dark, rich like new look in minutes! After thoroughly cleaning your tires, apply one coat for a matte look and additional coats for a glossy finish. The Tire Balm provides UV protection, dries quickly and will not sling onto the paint. If you are looking for an easy way to enhance your tires and protect them, take a look at the 303 Tire Balm! Apply one coat for a matte finish. For a shinier finish, apply a second or third coat, with a 10 minute waiting period in between coats. DIRECTIONS: Shake product well before use. Apply on a CLEAN, COOL, DRY tire. 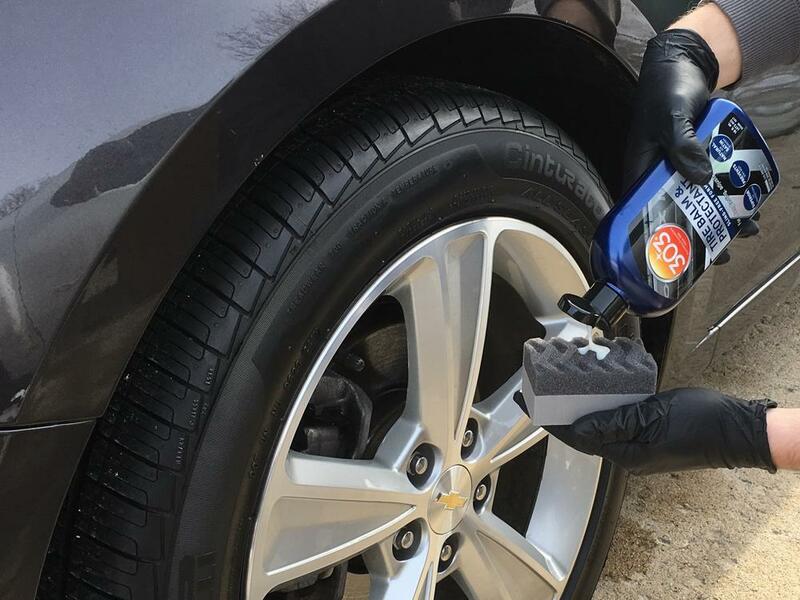 Using an applicator of your choice, spread product evenly across tire, let dry. Apply one coat for a natural finish. For a shinier finish, apply a second or third coat, with a 10 minute waiting period in between coats. Wipe off any residual that drips onto rims. If any streaking occurs, re-apply to that specific area. Good product. Just need to put at lease 2 coats on. I've been using this product since it came out and have been VERY happy with it. Like any other product of it kind out there, be sure to clean and scrub the tire prior to application. Once the tire has dried completely apply a nice base coat and allow to dry, about 10-15 minutes. At this point your probably going to want to apply a 2nd coat. Tires vary greatly on how pores they are, so you'll need to make the call after the 1st coat and go from there. The finish will never ever be "used carlot tire" looking but rather a nice sheen. Durability is a solid month on a DD before you have to re-apply but a light coat inbetween goes very far to build a good base for the future. IMO once you buy and use this product it will either one of your favorite product or your favorite, its THAT good! Btw this product IS NOT a black dye type product but rather a milky color and NOT thin by any means.